IRON MOUNTAIN — Barbara A. Schroeder, 77, of Florence, Wis., passed away Sunday, Feb. 5, 2017, at her home. She was born on March 23, 1939, in Milwaukee, daughter of the late Arthur and Eugenia (Marenda) Rewolinski. Barb grew up in Milwaukee and graduated from high school there. She married Thomas Schroeder on May 22, 1965, in Milwaukee. Barb and her husband resided in Milwaukee for many years. She enjoyed working at St. Michael Hospital and Northwestern Mutual. 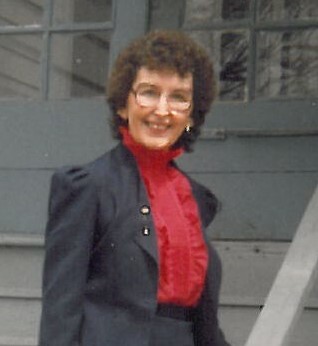 Barb moved to Iron Mountain in 1985, and in 2003 moved to Florence. She enjoyed working crossword puzzles, gardening, playing cards, shopping, sewing, sharing stories of her experiences as she traveled throughout the country, and especially spending time with her family and grandchildren. Barb is survived by her loving husband of 51 years, Tom; one son, Michael (Tammy) Schroeder of Dafter, Mich.; one daughter, Lori (Bryan) Johnson of Kingsford; four grandchildren, Mira, Griffin, Marleena and Matt (Sabrina); and by one great-granddaughter, Madison. In addition to her parents, Barb was preceded in death by one son, David Thomas Schroeder in 1986. Visitation will be held Thursday, Feb. 9, from 10 a.m. until noon at the Jacobs Funeral Home of Iron Mountain. Funeral services will be held Thursday at noon at the funeral home. Fr. Ray Valerio will officiate. Burial will be in Cemetery Park in Iron Mountain. You may light a candle in remembrance of Barb or leave a condolence for her family online at www.jacobsfuneralhomes.com. The family has chosen the Jacobs Funeral Home of Iron Mountain to honor Barb’s legacy of life.